Making another appearance on their label home of Universal Sweden this week is formidable dance/pop duo Rebecca & Fiona. The iconic blonde duo has taken the scene by storm over the past couple of years and are set to continue in the same vein as 2016 stretches on. 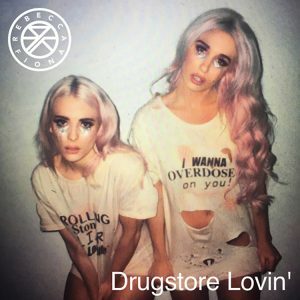 Their current release is “Drugstore Lovin”, a slightly more gentle step away from some of their heavier electro dance sounds, but nevertheless it still retains their playful energy and trademark appeal. With sweet vocal layering and a subtle yet pulsing beat, this single is still well worth a listen.